Member Services | Williamson, Inc.
Ascend raises your possibilities with products to bring your financial goals within reach. With mobile account access, mortgage loans, auto loans, a health savings account, financial education seminars and much more, Ascend can help you succeed. 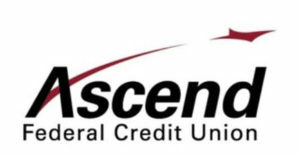 Federally insured by the NCUA, Ascend is a non-profit financial cooperative mutually owned and governed by the members they serve. Their membership is exclusive and limited, so be sure to talk to a representative today! Interested in joining Ascend Federal Credit Union? Check out their benefits form here. All Williamson, Inc. business partners are eligible to sign up for the credit union. Visit www.ascendfcu.org to learn more! Williamson, Inc. members receive special wholesale pricing. No matter your business — retail, restaurant, healthcare, service, mail order, or e-commerce—at your location, on the go, or both… BancCard has the solutions you need to optimize your payment processing. Contact Gina Leavell at 615-485-0998 or gleavell@banccard.com for a customized analysis today! We’re proud to be a part of Office Depot’s Small Business Savings Program, administered by Excelerate America. Tailored to the modern needs to small and mid-sized enterprises, it supports the growth and development of local business communities through fantastic savings in-store and online, preferred customer assistance, access to simplifies tech services and much more. From high-quality office supplies to break room and cleaning essentials, we offer continuous product innovation, quality, functionality and style that rival national brands. All at an exceptional value. More than 4,000 products, across all major categories, including 1,300 greener products, deliver choice designed to work within your budget. Be sure to download and print off your exclusive Williamson, Inc. Store Purchasing Card here or register online to shop here. Sprint works for our members. Your job comes with great networking opportunities so be sure to get even more connected with the Sprint Works Program. Be sure to mention or enter code: MCBMA_WMS_ZZM in-store and online at sprint.com/save to lock in special savings and offers. You can also call Sprint Sales at 866.639.8354 or find a store near you at sprint.com/storelocator. Everyone deserves a great wireless experience with Unlimited plans, spectacular device deals and the best ever network. Sign up for Sprint today and save with your Williamson, Inc. membership! The UPS Store of Cool Springs & Brentwood is excited to offer Chamber members exclusive discounts on shipping, printing, packaging and more with an in-store Savings Pass*. Pick up your Savings Pass at the UPS Store of Cool Springs, 2000 Mallory Lane #130, Franklin, TN 37067, the Brentwood location, 330 Franklin Road, Suite 135A or the Williamson, Inc. Office, 5005 Meridian Blvd., Ste. 150, Franklin, TN 37067, today! Visit www.chambersavingspass.com and start saving today! *Offer valid at participating Cool Springs & Brentwood locations and must be used for in-store purchases only.